Today, I would like to tell you a little bit about the ultrasonic cleaner. 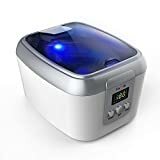 Ultrasonic cleaners operate on a somewhat mysterious principle of creating ultrasonic vibrations in the fluid to remove dirt and oil from your jewelry. 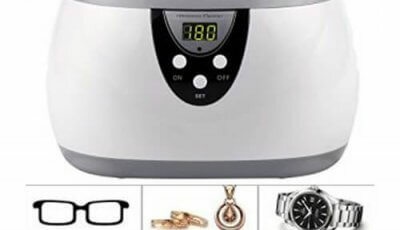 Before ultrasonic cleaner, you may take your jewelry to the local jewelry shop, those professional jewelers will take care of your jewelry clean and tell you what problem it is. However, you may have to extra for cleaning and care if your jewelry was not bought there. 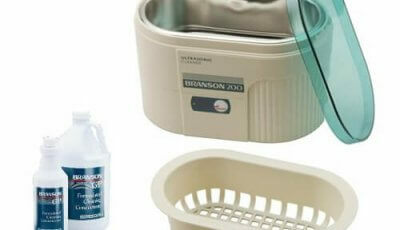 A home used ultrasonic jewelry cleaner can handle jewelry cleaning at home and save you much expense. Before you put any piece of jewelry in the tank, you are supposed to add a tablespoon of ammonia plus some dishwashing liquid, then turn on the cleaner and let it run for around 5-10 minutes. Just make sure all ultrasonic cleaner solution you added is mixed with water very well. 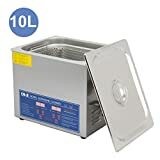 Usually, the ultrasonic cleaner comes with a built-in heater and transducer. A heater device helps heat the water and dissolve solution so as to reach the optimal cleaning result. The transducer located on the bottom of the tank creates a sound wave which does the majority of the work. This is called cavitation. The sound wave vibrates at the extremely high frequencies which creates hundreds of thousands of vacuum bubbles. When these bubbles come in contact with an object, they implode pulling the surroundings in with tremendous force. The fine particles of dirt and oil are pulled away from the jewelry pieces. 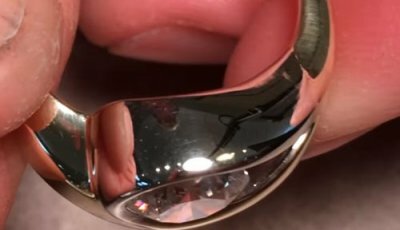 This is basically how an ultrasonic cleaner works on jewelry cleaning. 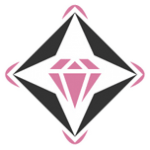 The cleaning solution we recommend the use of cleaning additives, such as Sparkle Bright All Natural Solution. As water itself does not cavitate well, this particular cleaning solution is the concentrated solution. It is non-toxic biodegradable and contains no ammonia, so it is safe for almost all of your jewelry. Next, because the sound waves are slightly out of phase, they create movement within the solution which in conjunction with the cleaning additive helps to wash the jewelry clean, similar to a washing machine that you put your clothes in. Finally, the solution then the tank heats up either by agitation or on some units, such as this a separate heater. The increased heat helps the process of cleaning a jewelry. 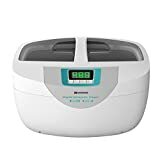 This particular unit I am using in this test is the GemOro 1787 2.6 quart ultrasonic cleaner. It comes inclusive with the basket, the heater and a digital timer. 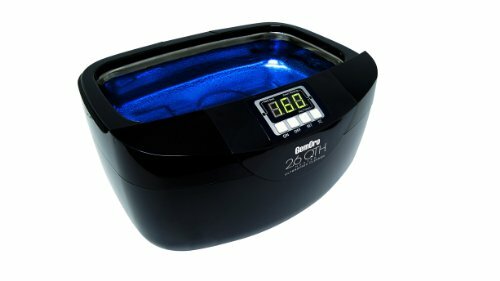 There are several sizes of ultrasonic cleaners available at the jewelry store. From one pint to three-quarters of a gallon, many of them are equally good for use in the home or by professionals. When cleaning your jewelry in an ultrasonic cleaner, there are a couple of things to remember. First, always use the basket, as putting anything directly on the bottom of the tank can damage the transducer. 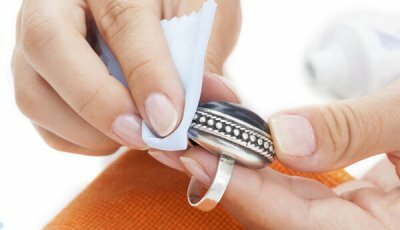 Next, you only need to leave your jewelry in the cleaner for about three to five minutes to get it clean. Finally, because of their aggressive cleaning action, ultrasonic cleaners are not recommended for some soft precious stones, such as pearls, emeralds and opals. 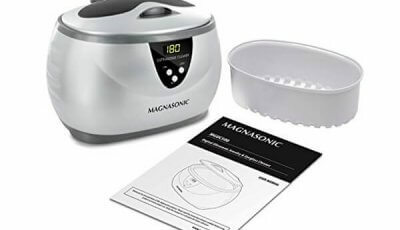 An easy way to see just how powerful an ultrasonic cleaner is to take a small piece of aluminium foil then set it into the solution. In just a few seconds, you will see tiny bubbles start to form around the edges and surface area. After two or three minutes, you will see dents and eventually be pitting in the aluminium foil. If left in for too long, the aluminium foil would eventually dissipate completely. Steven has 5 years experience of working in the cleaning industry. He used to run a store selling different cleaners and offer the cleaning solution to the local clients. He started with jewelry cleaning business and worked with many different types of jewelry cleaners. 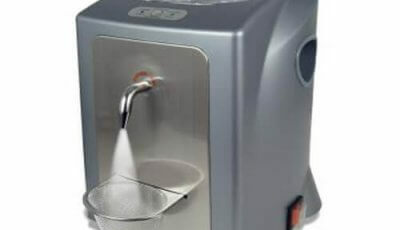 The ultrasonic cleaners used for jewelry clean actually have many other usages. He gradually expanded his business into gun parts cleaning, brass cleaning, eyeglasses watches clean and more. He shares his experience here to help others get dirty items better cleaned.